Do appearances matter? They sure do for most of us, unfortunately all too much. Many of us judge people on superficial qualities when we encounter their appearances: if they are groomed, shaven, have a haircut, have nice clothes, have a nice car, have a nice house, have a nice job, etc. One of the most powerful influences is what people wear that reflects a visibly recognized title, such as a uniform reflecting some position of authority in the way we live as a society. But the influence of the uniform isn’t just about how we see the person who is wearing the uniform, but also about how they see themselves in relation to others. A study published in Frontiers in Psychology did research into stereotypes and profiling and how the symbolic power and authority from police uniforms affected that. Recent years have had a lot of issues with police in North America being violent and engaging in criminal behavior themselves. Why is this happening? Could it be that police view themselves as superior in the social system? Clothing signals much about a person’s identity, like their socio economic status, religion, and occupation. Simply by wearing the uniform that resembles a policeman, this automatically affects how others are perceived. There is a bias through an evaluation that places others in a lower social status than the one wearing the uniform. The police uniform symbolizes power and authority. Experiment was devised to have participants identify a simple shape on a computer screen while being distracted by other images. Researchers tracked participants reaction times to determine how long they were distracted by different images, such as white male faces, blackmail faces and individuals dressed in suits while others wore hoodies. There was no evidence of racial profiling when the distractions were of white or black faces, which surprised the current researchers as previous studies revealed how many people in the United States associate African-Americans with crime. Slower reaction times were present for photos of individuals wearing hoodies, indicating that these were attention grabbing distractors. But the interesting thing is that this bias towards those who wore hoodies was only present in participants that were wearing police style uniforms. Wearing a police uniform has power-inducing effects coupled with associating the uniform with increased threat vigilance which is a critical part of police culture. This seems to bias people towards stimulus that is perceived to represent a danger and threat. What we pay attention to effects what we understand about the world and how we think about it, forming part of our worldview. Biases don’t only affect how we view others, but also how we view ourselves. Just by wearing something different there is a psychological effect upon how we view ourselves. 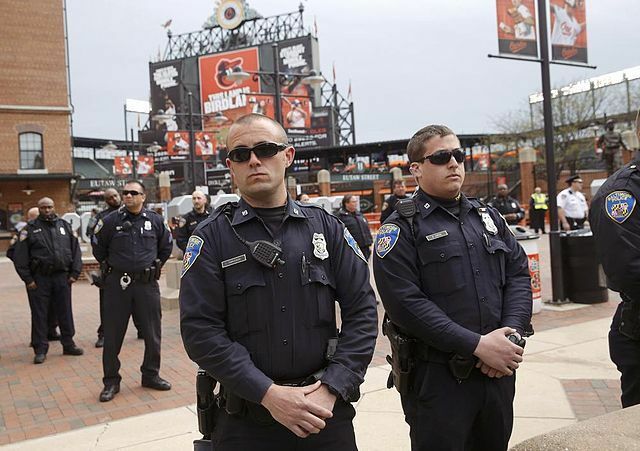 Those who wear uniforms like the police that assume positions of power and authority, see themselves as at risk of threats that can come at any time, especially from others who stereotypically look like they might pose a threat. Those in this mindset can unconsciously perceive a threat when one doesn’t exist. They are also more stressed and tense in anticipation of a threat against them by default of wearing different clothing. This primes many of them for reactive responses to perceived threats that can tend to be more aggressive and violent as a result.